An undercover cop is in danger as he tries to bring down the crew of smugglers he’s been on the inside of on last night’s Person of Interest. The show used this and Det. Fusco’s current situation to examine how truly capable of living on both sides of the law someone can be once they’ve walked in the dark. As Reese immersed himself into the same crew to keep Michael Cahill aka Officer Daniel Tully safe from harm, we were also given a few more glimpses into Reese’s own past during his time with the CIA. 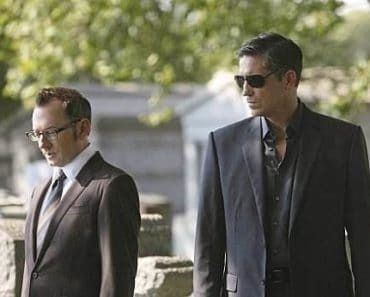 This meant the return of both Agent Stanton, Reese’s former partner, and of Agent Snow the man who tried to gun down Reese earlier in the season. During the flashback to 2008, it plays out like your typical CIA drama. People in a room listening to garbled chatter while they try to out-vague each other�someone bound and hooded in the bathtub nearby, you know the usual. Reese is given a bit of time stateside and of course the first thing he does is track down his ex. Before he can make the mistake of speaking with her personally, Stanton steps in and gives Reese the standard ‘�we’re not like them’speech with phrases like, ‘we don’t walk in the dark John, we are the dark.’She actually said those words and it’s okay to chuckle at the cliché of it. Really the only Reese flashback that is going to be worth the time spent will be the one that helps to clarify what went wrong between himself and the company, as well as how Stanton apparently wound up dead when she worked with him. Other than that it doesn’t really add much to the story in the way that a Finch flashback, for example, tries to at least confuse the hell out of you with what you think you might know. Meanwhile back in the present one of the latest narcotics deals has gone bad for the crew and they’re all holed up in a warehouse, Reservoir Dogs-style as one of them is badly wounded and the leader just figured out there must be a cop in their midst. Unfortunately for Reese’s medical bills, the only way to help get Tully out of there is to take the fall for being said rat as he’s brutally interrogated by members of the crew before he can speak with Tully. Bit of a change there to see Reese on the wrong end of a fist or a crowbar for once as he’s usually the one doing the hitting. Once he manages to convince him he’s there to help he gets a well-placed bullet for his trouble and set on fire. 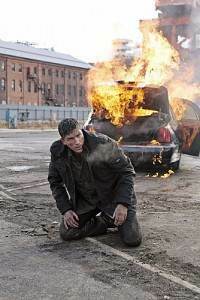 Well at least the car they shoved him into does, but don’t worry apparently John Reese isn’t flammable as he escapes the car and meets up with Det. Carter to take the crew down. I’m going to formally petition right now for more Reese and Carter takedowns because they really do happen to work very well together. As for our other NYPD associate, Det Fusco gets tasked with trying to get back in with his dirty cop friends in order to prevent harm from coming to the undercover officer when the crew goes down. 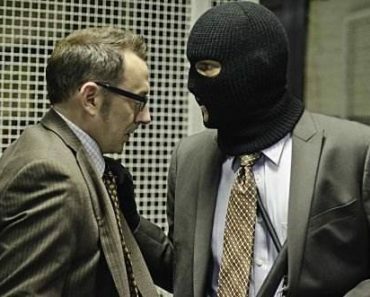 Finch assists him in breaking into the room where Tully’s file is secured so that Fusco can destroy it. Long story short, Fusco gets caught and by someone who was also after Tully’s file but for all the wrong reasons. After he’s apprehended and taken out into the woods to be disposed of, Fusco gets to deliver this surprisingly affecting speech about how he was trying to be a good cop again and that it’s given him new reason to do the job to the best of his ability. Unfortunately for Lionel, once that threat is eliminated it’s no free pass�Reese wants him to involve one of his former associates in the clean-up of the body so that he can be his man on the inside of this corrupt police force. There was a scene where Agent Snow spoke to Det. Carter about Reese and how he uses his partners and throws them away�apparently that’s going to be Fusco’s lot in life more so than Finch. Speaking of Harold, we didn’t get anything new on the bird-loving man of mystery as there wasn’t any mention of the files from the end of last week’s episode. 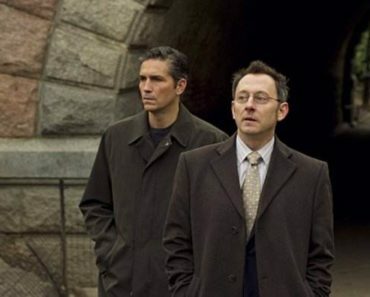 Hopefully that doesn’t stay on the back-burner for long as it’s one of the best ongoing arcs that Person of Interest has going for it. One of the best scenes between Finch and Reese was at the end where they sat in a car and watched Tully take his pregnant wife and young son to the hospital. It was almost like they were gazing on in a sort of envy of how someone can be involved in the shadows of life and then come right back out of it as roughly the same person he was before. 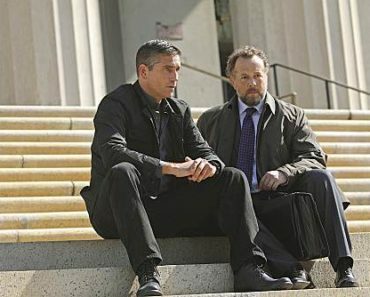 Reese certainly wasn’t capable of preventing himself from becoming exactly what Stanton said he would�albeit with a bit more compassion as we’ve seen in previous POI cases this season. It’s going to be interesting to see how the return of ‘�Fusco the corrupt’affects the future cases for the team, especially if/when Det. 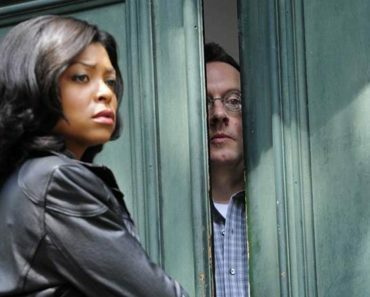 Carter comes to realize that she and Fusco have the exact same friends in Reese and Finch. Well written article. 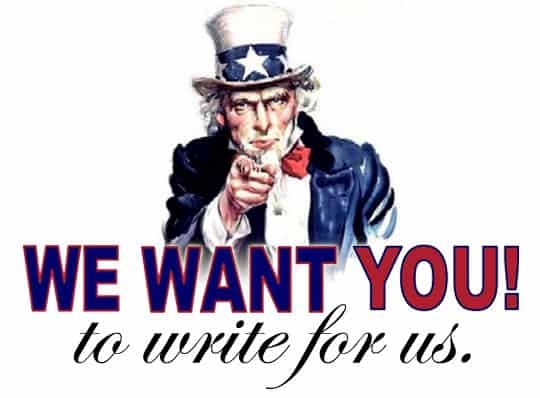 I like the way the characters are developing. I agree that Reese and Carter do work well together. The take down scene with both of them was really intense and entertaining. I love this show. Exactly Keysh, i agree with you. I like a lot Reese and Carter working together. Another thing i been think, this return of Fusco to a dirty things, the Company, Elias maybe will be all connected by the end of this first season. Am I the only one who was curious about the hooded man in the tub? Who, according to Snow, was trying to seel some kind of secret US software to the Chinese? I'm wondering if maybe the guy in the tub was Nathan Ingram. Maybe that connection is how Finch caught on to Reese?